Add style and energy efficiency to your home with our stunning collections of blinds. 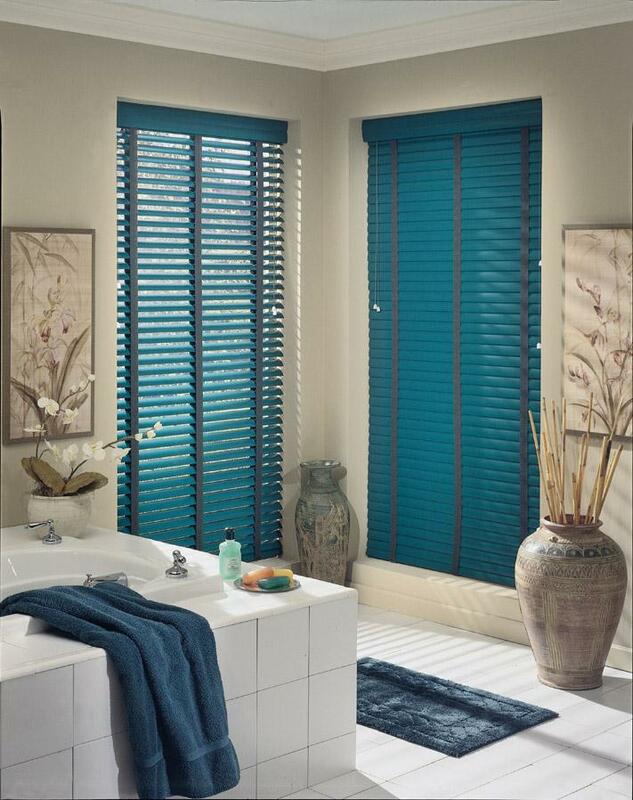 We offer a wide variety of window coverings that include wood blinds and vinyl blinds. Available in custom and non-standard sizes, our design specialists are happy to ensure you get the look you want. We stock numerous colors and patterns to suit every conceivable style preference. Tie together the look of a room or your entire home by adding new window coverings from our expansive showroom. We carry items from many trusted manufacturers, including Hunter Douglas and other popular names. Visit today to explore first-rate brands that are sure to suit your needs in looks and performance. Depending on your goals for your home, one type of window covering may be more suitable than another type. Rely on our design specialists to provide you with more information about either of the following materials. Wood Blinds: Are you interested in creating a more natural, timeless kind of atmosphere in your home? Consider investing in an eye-catching set of wood blinds. They work well as a unique design feature and blend beautifully with other wood features in your home. As a design feature they come in many different shades; however, what really draws our clients to them is their irresistible charm. Available in different finishes, your choices may include a natural bamboo look or a lustrous mahogany. Vinyl Blinds: The choices are endless when you want to upgrade your current window coverings or add new ones to bare windows. Available in many styles, they work well in any room and add an element that completes the look of any space. Place yours in your kitchen, bathroom, bedroom, or living room. They’re easy to clean and do a great job of filtering out bright sunlight. Save on a beautiful set of vinyl blinds by visiting our showroom to find exactly the look you desire. Contact us today to learn more about our selection of blinds. We proudly serve shoppers in Bedford, Manchester, Hooksett, Concord, and Hollis, New Hampshire.